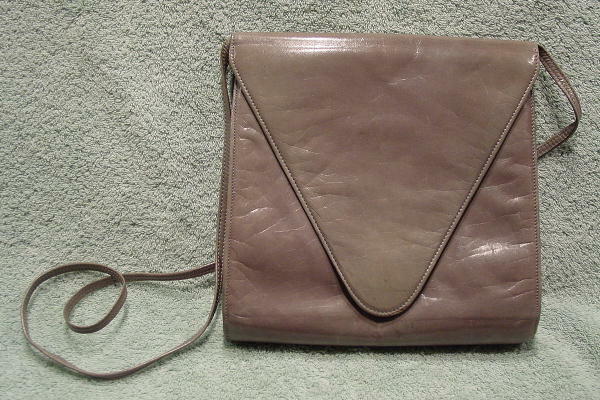 This vintage Charles Jourdan Paris medium gray leather purse was made in Spain. 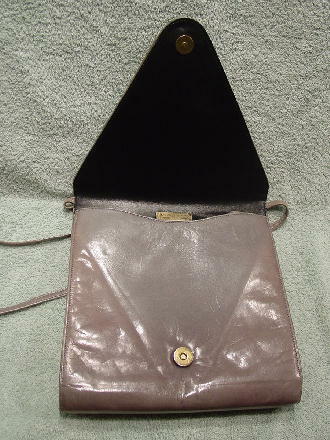 It has a deep V front flap with a magnetic closure. There is a 42" long leather shoulder strap. The black leather interior is soft and there is a tarnished gold-tone logo plate above the back zippered interior pocket, which says Charles Jourdan Paris made in Spain. there are two small ink marks on the bottom of the front flap, and the back and front have several scuff marks. There are some pinkish marks on the back side and some dark spots on the back side and lower front below the flap. 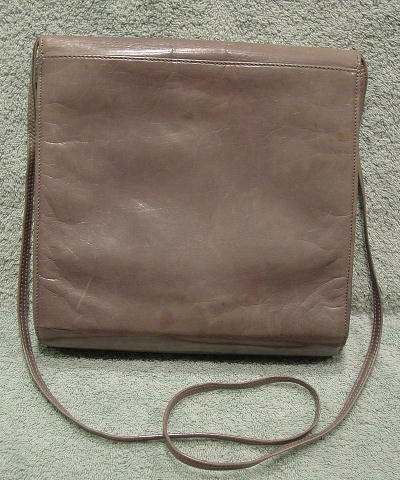 The front leather under the flap is a darker gray (not exposed to the sun) than the rest of the purse. It has nice soft leather. It belonged to a former New York model.